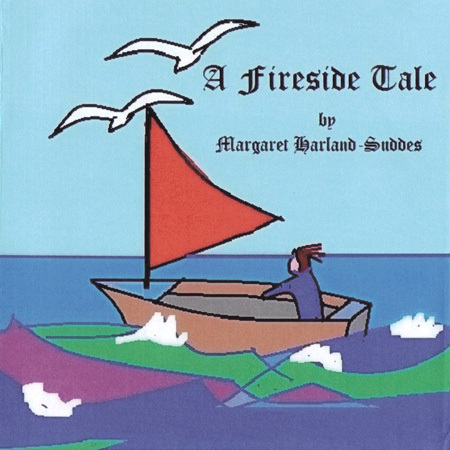 The dramatized narrative, “A Fireside Tale”, is entirely a work of fiction which owes nothing to either fact or Northumbrian folk legend. The ancient Kingdom of Northumbria covers a large part of North-East England and stretches Southward from the Scottish borders to encompass the Counties of Northumberland and Durham, as far South as the River Tees. The entire region is famed for its great rural beauty and its amazing coastline of sandy beaches. Ancient historic castles are found throughout the region. Fishing and boat-building have traditionally been an important part of the way of life for the hardy descendants of the Saxons and Vikings, and family loyalties and affections run deep. Cullercoats, located just North of Newcastle, was originally a pretty fishing village which, in Victorian times, also became a well-known artists’ colony. But fishing and coble boats were the basis of the Cullercoats traditions, and the legacy of the coble boat (a descendant of the Viking long-boat) still lives on there to the present day. Margaret Harland-Suddes’ own background is from central Northumbria. She was born and educated in the beautiful Cathedral City of Durham where she attended both school and university. Margaret's entire adult life has been spent in Education where she has been particularly, but not exclusively, involved in English, Art and Drama.